The MBA (Executive) programme offered by The British College (TBC) is a career development programme provided by Leeds Beckett University, UK. The programme is aimed at experienced business professionals with more than two years’ business experience. You will be taught to develop and transform your leadership skills through strategic management. Your experience at The British College will help to develop your managerial style and transform you into a strategic thinker, helping to prepare you for the uncertain global environment which we now face in business. On completion, you will feel confident in applying and using theory in a practical way, after trialling your concepts on the course during the consultancy project. We want to equip students with analytical skills, improve their leadership skills and enable them to contribute effectively to business and management practices. 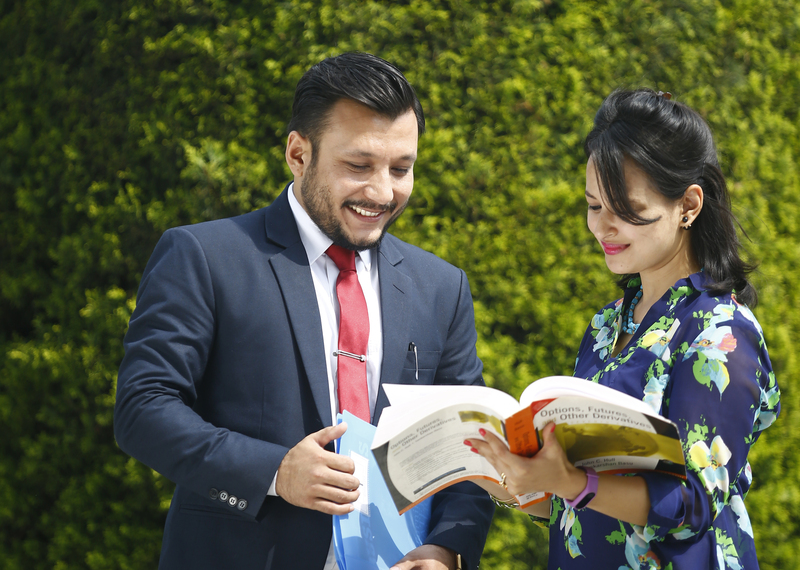 This programme offers you the unique opportunity of gaining an internationally recognised Masters degree in Nepal from a distinguished British University. The time spent on our MBA (Executive) will expand your knowledge with cornerstone management theories that allow you to specialise within your chosen sector. Our Executive MBA will equip you for the challenges you will face in the future. Our aim is to give you the space to think and critically appreciate your current strengths and areas for development and to gain insight into both your leadership skills and reaslise the management challenges you face. We help you develop and apply new decisive leadership methods to enable you to raise your game and inspire your people. The MBA (Executive) recruits experienced practitioners who wish to both accelerate their career opportunities and directly apply their learning to enhance their own performance and that of their organisation. You will be encouraged to share your working experiences with colleagues on the programme and with expert staff who can support you to devise practical solutions to your leadership challenges. The MBA (Executive) is a British MBA course provided at TBC in Nepal.This course is designed for those who wish to accelerate their career in management. Some examples of jobs where students from Leeds Beckett University have progressed to after the course are General Manager, Operations Director, Business Development Manager, Chief Executive Officer, Chief Operating Officer, Group Operations Manager and Marketing Manager. As a graduate, you will be in a position to provide the effective direction and leadership that organisations at home and abroad need in management positions. The Pre-masters programme is structured as follows and is made up of four core modules. The Leeds Beckett MBA (Executive) programme is structured as follows and is made up of six core modules and two option modules.